Government guidance asserts that an asylum claim based on a blood feud in Albania is likely to be certifiable as clearly unfounded under section 94 of the Nationality, Immigration and Asylum Act 2002. In my view, this is fundamentally misconceived. Certification under section 94 is a draconian measure which deprives the claimant of an in-country right of appeal, leaving judicial review as their only remedy. A claim being “clearly unfounded” means “so clearly without substance that it was bound to fail”: Thangarasa and Yogathas  UKHL 36. Where a protection claim is certified as clearly unfounded, the certification normally is not based upon issues of credibility, unless the claim is so incredible that no one could believe it: see ZL and VL  EWCA Civ 25. Rather, the claimant’s account is normally taken at its highest. The guidance, contained in a Country Policy and Information Note of October 2018, does not provide adequate justification for the suggestion that Albanian claims based on blood feud can properly be certified. I say this for the following reasons. The first question is whether the Home Office is entitled to hold that an Albanian seeking asylum on the basis of a blood feud would unarguably be protected sufficiently by the state, such that it would not be open to a hypothetical tribunal judge to conclude otherwise. In my view, it is not. The Albanian state has taken steps to improve state protection, but in areas where Kanun law predominates (particularly in northern Albania) those steps do not yet provide sufficiency of protection from Kanun-related blood-taking if an active feud exists and affects the individual claimant… Where there is an active feud affecting an individual and self-confinement is the only option, that person will normally qualify for Refugee status. In other words, depending on the facts of their case, an individual may not receive adequate state protection against an active blood feud. The Court of Appeal held in SG (Iraq)  EWCA Civ 940 that “tribunal judges are required to take country guidance determinations into account, and to follow them unless very strong grounds supported by cogent evidence, are adduced, justifying their not doing so”. Even if the Home Office considers that an individual affected by an active blood feud would receive adequate protection, it cannot conclude that a hypothetical tribunal could not realistically take a different view. Home Office decision-makers often fail to understand that the existence of a functioning police force and/or judicial system does not always imply that a sufficiency of protection is available. A case frequently overlooked in this regard is AW (sufficiency of protection) Pakistan  UKUT 31 (IAC). It is established law that the effectiveness of the system provided is to be judged normally by its systemic ability to deter and/or to prevent the form of persecution of which there is a risk, not just punishment of it after the event: see AW (Pakistan) above at paragraph 23, citing one of the propositions put forward by Lord Justice Auld in Bagdanavicius  EWCA Civ 1605 and left undisturbed by the House of Lords in Bagdanavicius  UKHL 38. With this in mind, it is important to consider the practicalities of protection. Even if the police are in general willing to prosecute those who commit revenge killings as part of a blood feud, it does not follow that the police will be either willing or able, for example, to provide prospective protection to a young man who lives in a remote mountain village and fears his neighbours. It is also important to remember that the decision-maker must always ask themselves, first, whether the person seeking asylum is at risk of persecution in their home area and would be insufficiently protected against that risk in their home area. 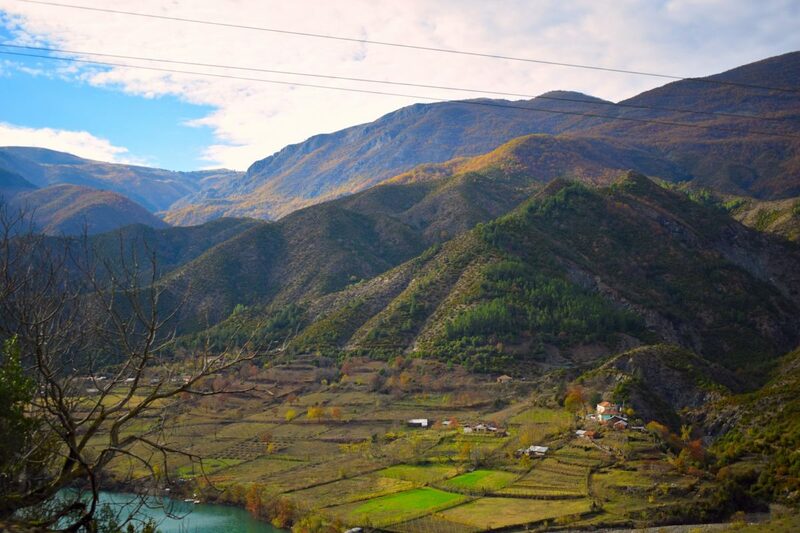 This may be a rural, conservative and/or remote part of northern Albania. If this is so, it is then, and only then, that the analysis shifts to internal relocation. The decision-maker must ask themselves not just whether the person seeking asylum could successfully avoid persecution in a different part of the country, but also whether it would be unreasonable or unduly harsh to expect them to do so. It is not acceptable to elide these two separate issues by stating simply that the person seeking asylum would be adequately protected by the state if they relocated to Tirana. This issue is discussed further below. The “non-governmental” sources cited by who are said to have painted a more positive picture include an appeal court judge, the mayor of Fushë-Arrëz, a journalist and civil society activist, and an NGO representative. The authors do not provide the full transcripts of their interviews, nor do they provide detailed information about the backgrounds of the various people and groups interviewed, including any potential biases. Most of what is said by the interviewees (both positive and negative) is in relatively general and anecdotal terms, with few specific examples. An appeal court judge confirmed that in the post-communist era, all of a sudden murders have been committed in the name of blood feud after decades of silence. Luigj Mila explained that although blood feud was condemned for 50 years and customary law texts were put into the archives and sealed off, some people kept a kind of nostalgia for it. They remained emotionally attached to it in a negative way. He explained that the very repressive methods of the communist regime may have stopped the practice of blood feud for a certain period but, generally speaking, the same methods may also have fuelled the current mentality of distrust towards the authorities and the preferences for self-justice among some segments of society: “People were taught that the enemy was everywhere. They were taught to be on guard all the time. They created monsters that could kill you every moment for every reason. There was a culture of distrust. Self-protection was primordial. It is clear from this passage that a diversity of views were expressed about the alleged change in social attitudes towards the blood feud. A hypothetical tribunal judge would be unlikely to conclude that this constituted the “very strong grounds supported by cogent evidence” necessary to depart from the guidance in EH. Other passages from the Belgian report — see pages 11-12 — may suggest that a decline in respect for the norms of the Kanun has not necessarily made people safer from blood feuds. Indeed it may mean that aggressor clans target women and children, and commit other acts violating the Kanun which may put potential victims at more, not less, risk. In short, while the Belgian report provides some useful information, it cannot be said that it would compel any tribunal judge to reach the conclusion that, contrary to EH, the Albanian state now provides effective protection generally to people at risk of an active blood feud. A tribunal judge could clearly properly conclude that, given the disagreement between interviewees and the difficulty in assessing the credibility and reliability of the various views expressed, the Home Office has not shown that there are “strong grounds supported by cogent evidence” for departing from EH. Indeed the guidance does not even go so far as to claim that everyone will have access to effective protection. It acknowledges, at 2.5.8, that “where an active blood feud means that self-confinement is the only option because the reach and influence of the opposing clan is extensive, a person is likely to qualify for refugee status”. This does not sit easily with the assertion that blood feud cases are likely to be certifiable as clearly unfounded. If the person seeking asylum is at risk in their home area, the decision-maker should turn to the issue of internal relocation. It is important to recall that there are two limbs to the internal relocation analysis: relevance and reasonableness. The first involves asking whether the person could avoid persecution by relocating. The second involves asking whether it would be unreasonable or unduly harsh for them to do so. Internal relocation will be effective to protect an appellant only where the risk does not extend beyond the appellant’s local area and he is unlikely to be traced in the rest of Albania by the aggressor clan. A crucial factor in establishing whether internal relocation is a real possibility is the geographical and political reach of the aggressor clan: where that clan has government connections, locally or more widely, the requirement to transfer civil registration to a new area, […] would appear to obviate the possibility of “disappearing” in another part of the country, and would be likely to drive the male members of a victim clan to self-confinement in the home area as an alternative. According to multiple sources, some of the affected families are not particularly safer after having moved away from where they were living. The Director of the Prosecutor’s Office stated that for the affected families “the fear can be everywhere”. Also a representative of the Albanian Helsinki Committee warned that in the case of a contemporary blood feud situation, a potential victim will not necessarily be safe after having moved inside Albania. He explained that “each country is a village” nowadays. This, again, makes it unsustainable to suggest that a typical blood feud case will be certifiable under section 94 on the basis that internal relocation is available. Whether the tribunal assesses that the claimant can avail themselves of internal relocation will necessarily turn on a case-by-case assessment, including the influence and reach of the aggressor clan and any ties it may have with government, police, criminal gangs or other powerful actors. …a person’s whereabouts may become known in Tirana by word of mouth. Albania is a relatively small country and we accept as entirely plausible that a person might be traced via family or other connections being made on enquiry in Tirana. Whether that would occur would depend on the family being motivated to make such enquiries (which motivation would probably depend on an awareness that the person may be living there) and the extent of its hostility. That is a question for determination on the evidence in each case. Thus, it is clearly plausible that a sufficiently determined aggressor clan could make enquiries through family or community connections and could track down their victim in Tirana or elsewhere. This needs to be taken into account in challenges to certification. It would be unreasonable, including from a human rights perspective, to expect a person to relocate to face economic destitution or existence below at least an adequate level of subsistence. At the other end of the spectrum, a simple lowering of living standards or worsening of economic status may not be sufficient to reject a proposed area as unreasonable. Conditions in the area must be such that a relatively normal life can be led in the context of the country concerned. It is not the case that conditions in the place of relocation cannot be unreasonable or unduly harsh unless they infringe Article 3: AH (Sudan)  UKHL 49. In AA (Uganda)  EWCA Civ 579 the Court of Appeal found that there must be some conditions in the place of relocation that are unacceptable to the extent that it would be unduly harsh to return the applicant to them even if the conditions are widespread in the place of relocation. On the facts of that case, the court considered that being forced into prostitution as a condition of survival would meet this threshold. In assessing whether internal relocation is unduly harsh, the decision-maker needs to have regard to the individual’s age, health, family ties, vulnerabilities and other relevant factors. Medico-legal evidence, where available, will play a particularly important role. It must be borne in mind that in many cases, evidence shedding light on the appellant’s vulnerability will not be available at the stage of the initial decision. The Legal Aid Agency often declines to fund medico-legal reports at the pre-appeal stage, consistently with its published policy. Those representing young people at the pre-appeal stage should be prepared to argue robustly that, considering that many Albanian asylum claims are now certified, such reports ought to be funded at the pre-appeal stage in Albanian cases in order to ensure that the case of the person seeking asylum is adequately put forward. It is wholly unjustified for the Home Office to suggest that blood feud claims are likely to be certifiable as clearly unfounded under section 94. The EH country guidance is clear that some people affected by an active blood feud will not be able to avail themselves of state protection or internal relocation. The contents of the Home Office policy guidance, and the fact finding report upon which it places primary reliance, do not afford a justification for departing from that conclusion. At the very least, it is open to a tribunal judge to find that there is no sufficiency of protection and no internal flight alternative on the facts of an individual case. It follows that certification is not appropriate in these cases. This is an edited version of a longer paper available on the Garden Court Chambers website. David Neale is a legal researcher at Garden Court Chambers. He was a practising barrister from 2014 to 2018, specialising in immigration and asylum law.